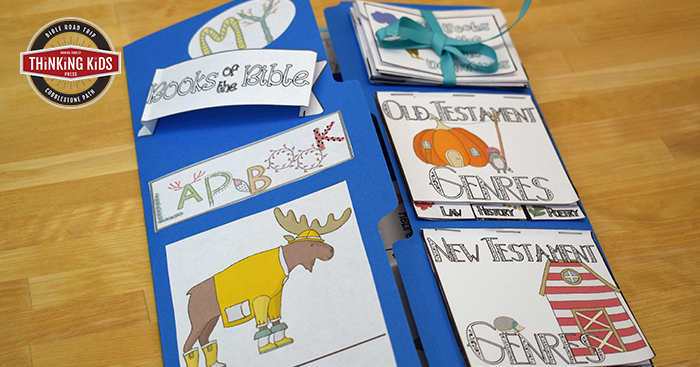 They will learn the genre, author, date, and theme of all 66 books of the Bible. They'll learn, too, how the Bible is organized and important definitions related to the structure of God's Word. It is important that our kids know the books of the Bible so that they can find their way around the “library” of the Bible, but it’s also important that they learn about each book of the Bible. These facts will help your child read the Bible with a greater level of comfort, knowledge, and understanding. You’ll want to print the All About the Books of the Bible Lapbook single-sided on plain printer paper using color ink. In your lapbook pages, you will find step-by-step instructions on each minibook and activity, explaining how to assemble each. 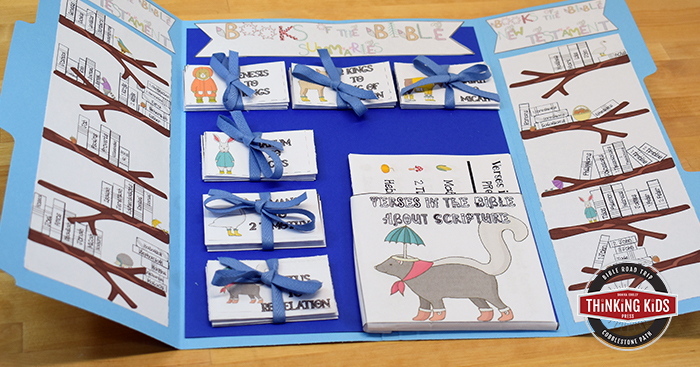 The All About the Books of the Bible Lapbook will give your child hours of thoughtful Bible study, with visuals they'll never forget.